Today, we welcome Lars Fromme back to the blog — this time as a guest blogger from the FH Bielefeld University of Applied Sciences. Working with loud machines is an occupational safety issue in the modern world. To keep workers safe, we can design low-cost solutions to control the noise with the help of simulation. Researchers at the FH Bielefeld University of Applied Sciences set out to do just that by simulating acoustic transfer paths with COMSOL Multiphysics simulation software. A common method for noise protection of workers is to add sound-absorbing material in earmuffs. You can also surround the machine that is used to perform the job with an acoustic barrier or absorbers. This technique is called passive damping or passive noise control. Passive noise control does not work well for low frequencies. An alternate active method can be used here instead. The noise signals emitted can be canceled by using a well controlled sound source, this is called active noise control or active noise cancellation (ANC). An ANC system works by analyzing the noise and then generating a sound signal with the opposite phase. The sum of the two will ideally then cancel each other out completely. For example, the speakers in noise-canceling headphones will emit an additional signal to the music that is meant to cancel noise signals picked up by the microphones. Thus, they produce destructive interference, which significantly reduces the original noise. All this is controlled by an advanced noise-canceling algorithm. Typically, for noise-canceling headphones, high-frequency noise is canceled by passive mechanics (just like in traditional earmuffs) and the low- to mid-frequency noise is canceled by an ANC system. ANC, a principle of destructive interference for a simple sinusoidal signal. Reducing noise is one of the most challenging tasks in technical plants and factories, especially if there are also requirements regarding the costs of the technical solution. In a research project called “Low-Cost Mechatronic Systems”, my colleague Prof. Dr.-Ing. Joachim Waßmuth and his team at the Institute of System Dynamics and Mechatronics ISyM at the Bielefeld University of Applied Sciences investigated low-cost active noise control systems for technical plants (1). To conduct the research, the team used a harvester cabin as an example of a typical situation where an operator might be exposed to annoying machine noise. In order to develop a low-cost system, the researchers used low-cost components for the ANC system and chose an all-encompassing model-based design approach. In addition to using model-based development of the algorithms and modeling the technical components (e.g., the microphones, amplifier, and loudspeaker), it is important to know the acoustic transfer paths. In order to validate their concept, two test set-ups (described in more detail below) where chosen for basic investigations on modeling and simulations. The noise-canceling effect is usually restricted to small areas in space. As sound propagates in a real 3D environment, it will undergo reflection and refraction off of solid surfaces. This makes it difficult to measure and identify the sound field well in large domains. In order to use an ANC approach, it is necessary to know the phase and amplitude in the region where the sound is to be canceled. When developing ANC systems, it is important to reproduce conditions of the real-world situation in a finite element model. With an acoustics simulation, it is possible to analyze in detail the different acoustic transfer paths in given geometries. In order to keep the geometrical modeling constraints simple, the researchers used a tube for the first test set-up. For model verification and validation, they assembled a measuring set-up with an adjustable length of the tube. Tube made of polymethyl methacrylate (PMMA) with a movable speaker at one end and a microphone at the other end of the tube. For different lengths of the tube, the system was stimulated by a speaker with sinusoidal signals with frequencies from 50 Hz to 5000 Hz. The resulting sound pressure level (SPL) was measured by the microphone located at the other end of the tube. The corresponding model was set up in COMSOL Multiphysics using the Pressure Acoustics interface. The walls of the tube were modeled as sound hard boundary conditions. To analyze the effect on the measured SPL, the speaker was modeled in a few different ways; as a monopole point source or given as a normal acceleration of a plane having different shapes (flat, spherical, or cone shaped). The best results were reached when a cone-shaped plane was used for the speaker. As we can see in the graph below, the simulation results are in good agreement with the measured data. The location of the peaks can be due to the set-up being of slightly different length than the modeled tube or because the elastic effects of the walls were not included. They would slightly modify the effective speed of sound. Some losses also seem to exist in the system as the peaks are a bit broader. These effects can, of course, also be included in a more detailed model. But this was outside the scope of this study. 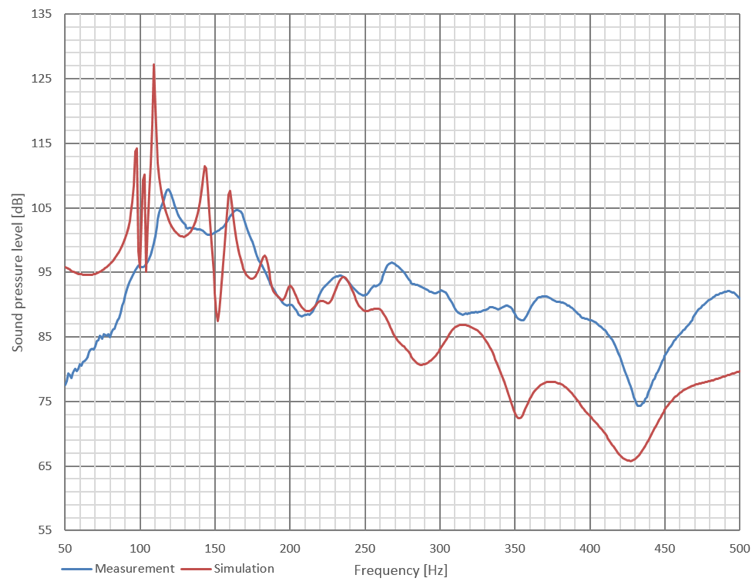 Comparison between measured data (blue line) and numerical results (red line). In this case, the length of the tube was 450 mm. Next, the team analyzed a real-world application: the interior of a harvester cabin. The project was supported by the agricultural engineering equipment manufacturer CLAAS by providing a harvester cabin for the practical investigations. A loudspeaker was used as a sound source inside the cabin and a microphone was placed at the listening position. Harvester cabin. The red boxes mark the position of the sound source and microphone. For the COMSOL Multiphysics model, they first built a reduced geometrical model of the interior air volume using CAD data. Air domain for the COMSOL Multiphysics model. The loudspeaker was defined as a monopole point source and the windows were defined as sound hard boundaries. 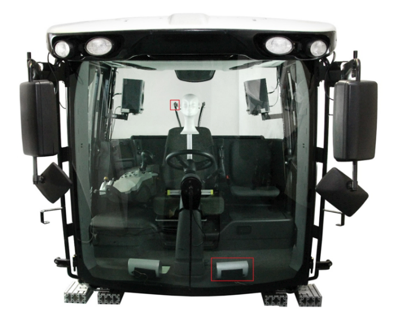 Since damping effects have to be taken into account, the floor and the roof trim panel of the cabin, as well as the absorbing and damping surfaces of the seat, were modeled using the porous layer option in the Impedance boundary condition (2). 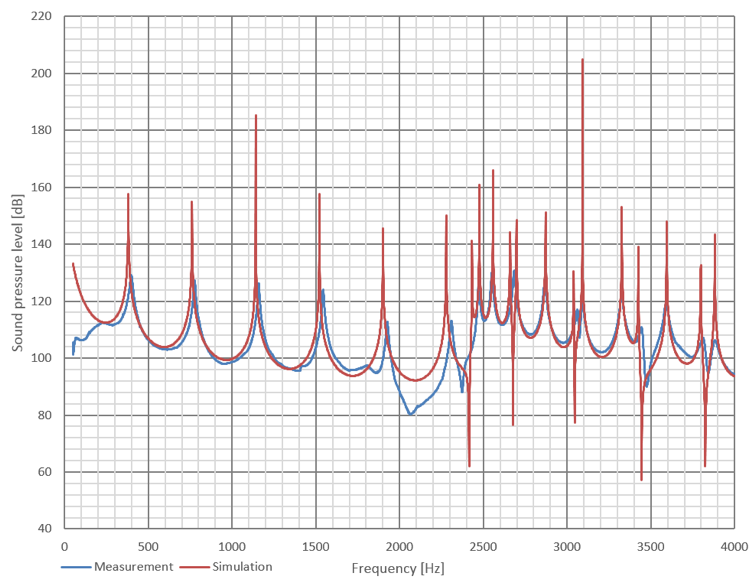 The simulation results using this simple approach are encouraging, as we can deduce from the comparison graph below. 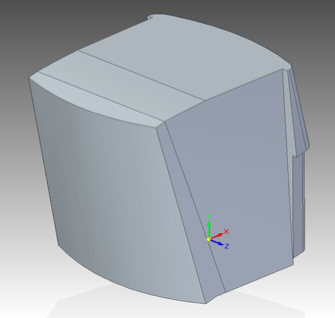 The model can be improved by adding more geometrical details (especially for the loudspeaker) and using more advanced models for the porous material. Comparison between measured data (blue line) and numerical results (red line). The porous material here was modeled with the semiempirical Delany-Bazley-Miki model (2). The knowledge of the acoustic transfer paths in active noise control systems is very important for the performance of the system. Unfortunately, simulation is challenging, since even simple configurations require comprehensive experience in physics and modeling. However, the first results presented here are encouraging. Future investigations will deal with more advanced models as well as the export of dynamical systems models (e.g., state space models) via model-order reduction if possible. Lars Fromme received his diploma in physics in 2002. Subsequently, he worked in the Theoretical High Energy Physics Group at the University of Bielefeld in the research areas Astroparticle Physics and Cosmology. 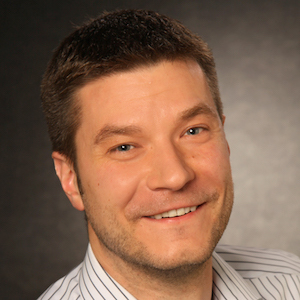 After he received his PhD in 2006, he joined the COMSOL Multiphysics GmbH office in Göttingen as a technical sales engineer and became the marketing manager a few years later. Additionally, he was responsible for the German COMSOL Multiphysics training courses. Since 2013, he is a professor at the FH Bielefeld University of Applied Sciences teaching physics, numerics, and multiphysics simulation.